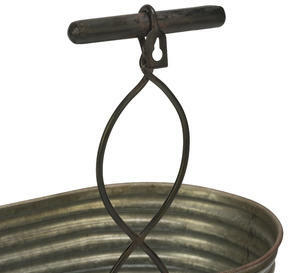 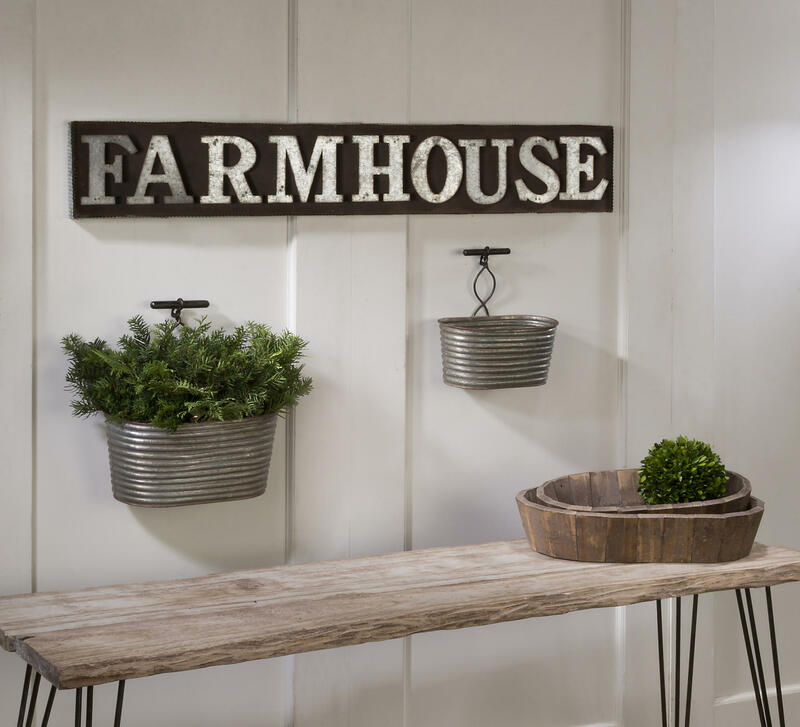 Farmhouse Wall Bins - Tripar International, Inc. These modern industrial bins offer perfect organization while adding style to your walls, tabletop or shelf. 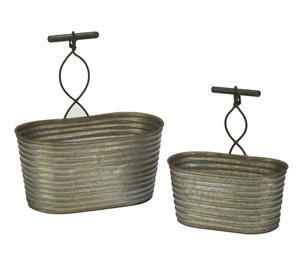 The metal bins feature a corrugated tin design and decorative handle for decor with a subtle statement. Fill the bins with plants or miscellaneous household essentials. 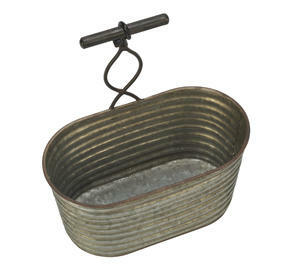 The Corrugated Metal Bins are perfect for displaying plants, accessories, soaps, lotions and more. 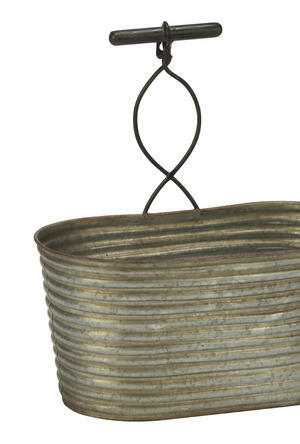 The bins are great for a modern and natural looking display. 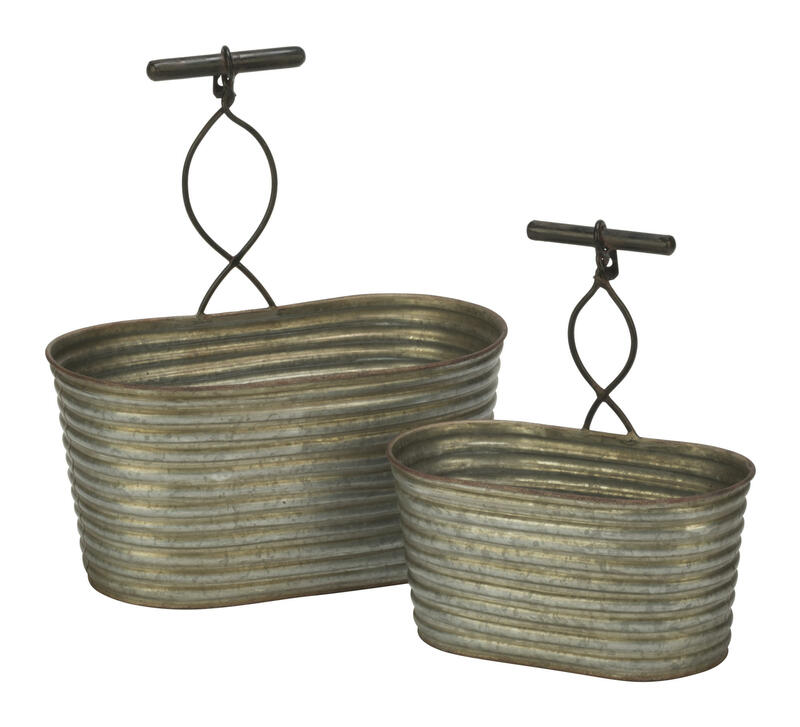 The set of two bins are great to be resold together or separate for home decor needs.